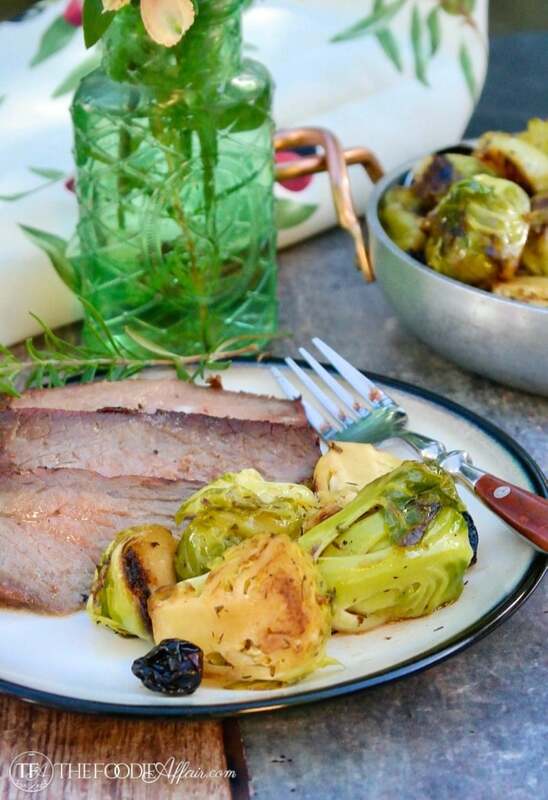 Maple Glazed Brussels Sprouts are lightly braised and then steamed giving them a crisp, dense texture and a slightly sweet fresh taste. This recipe first appeared on the blog in November 2013. This post has since been updated with a new photos and updated content! I’ve found that people either love or loath Brussels sprouts. I’m in the L-O-V-E camp. Adorable mini cabbage look-alikes, what’s not to like?? They’re so darn cute! Ok, I know cuteness only gets you so far; the real test is determined by how flavorful a dish is. I’m certain if you aren’t a fan of Brussels sprouts it’s because your brussels sprouts suffered a slow death by being boiled. Please don’t cook them that way. Not only does that method destroy all the good nutrients in this veggie, but you are left with mushy, kind of icky gray looking sprouts that taste bitter! Not to mention the really-really stinky sulfur smell that is bound to penetrate through your house! 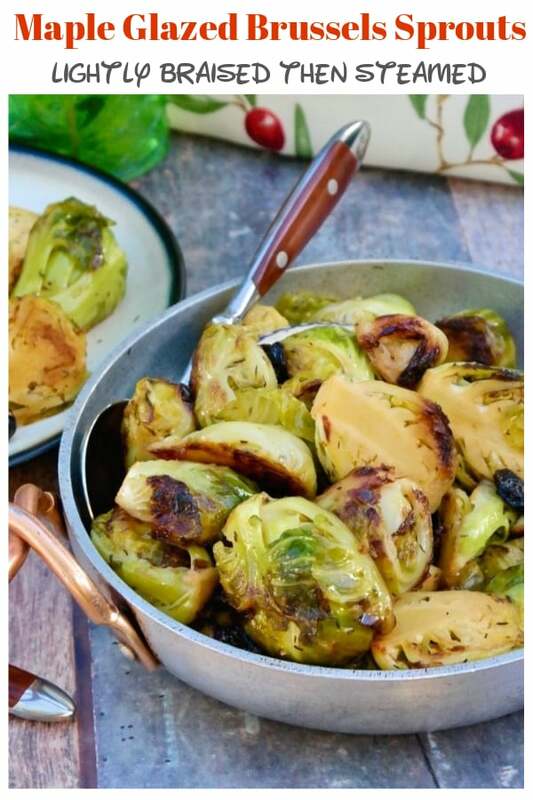 These Maple Glazed Brussels Sprouts recipe is going to convert you to the I LOVE Brussels sprouts group! As long as you cook these babies up the way I share in this recipe, I’m certain you’ll be in the sprout loving camp! First, caramelize these itty-bitty cuties in a couple of tablespoons of butter, and then steam them in some chicken broth, maple syrup (get the real stuff, not pancake flavoring! ), and add a pinch of cayenne pepper to mellow all the flavors. Finally, top with a couple of tablespoons of dried cherries or Craisins for another layer of delicious flavor! 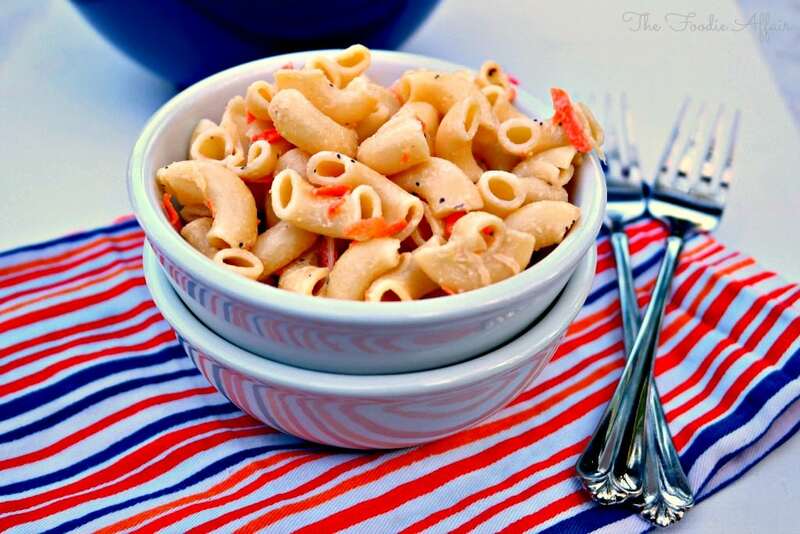 Add this veggie side dish to your menu today! The added Craisins, raisins or cherries add a festive touch to a holiday meal! In a large skillet over medium-high heat, melt 2 tablespoons of butter. Add Brussels sprouts and cook until browned 6-8 minutes, making sure all the pieces get browned. Stir in broth, 1 tablespoon maple syrup, thyme and cayenne. Cover and turn heat to medium-low. 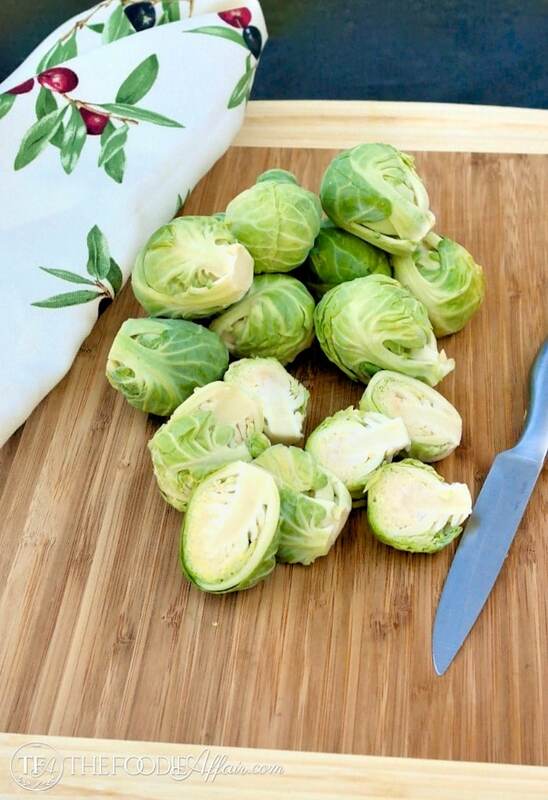 Cook for 6-8 minutes or until Brussels sprouts are tender. Uncover and increase heat to medium-high. Cook until liquid is almost evaporated (approximately 5 minutes). Turn off heat and still in remaining 2 tablespoons of butter, 1 Tablespoon of maple syrup, vinegar, and Craisins. Season with salt and pepper. Ooh, these look great! Perfect Thanksgiving side dish. Oh how I love maple. It makes anything taste good! I’ll definitely give this a go – I can use more maple recipes! Maple is becoming a favorite of mine too! I getting more creative with it! Thanks for the nice comment, Adrian! These look great! I love maple and cayenne with veggies, and in this case the slight bitterness of the brussels would be a perfect complement. I have a bag of brussels in my fridge right now – I think I’ll try these tomorrow! Hi Laura! I sure hope you do try this recipe! It’s a hit at our house! 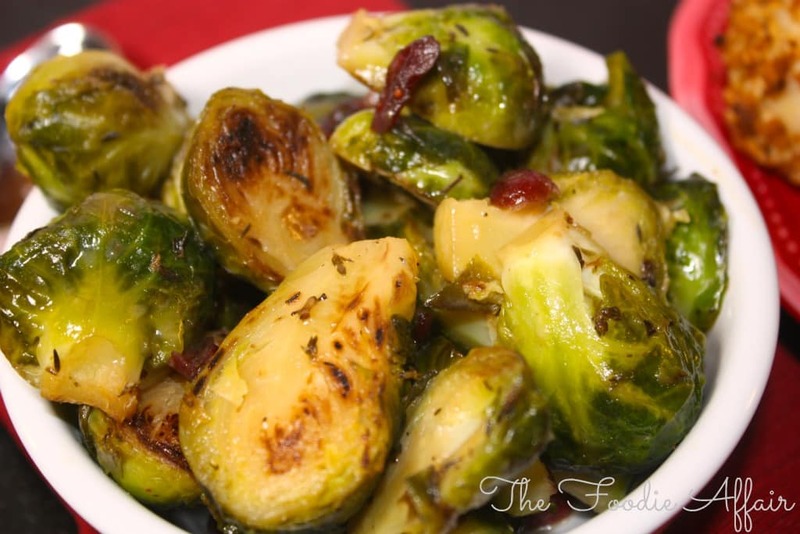 I love brussels sprouts and the sweet/spicy profile you’ve put on them sounds delicious! I always have a hard time convincing family members to eat Brussels Sprouts. 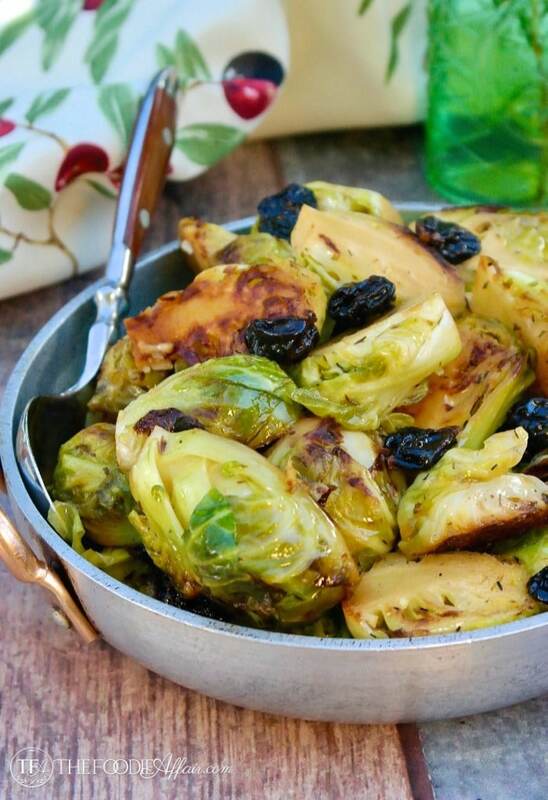 Your Brussels sprouts with maple syrup are going to make them lick their plates. Looks really delicious. I love that the maple glaze will add some sweetness to these. Brussels sprouts can be too bitter for some of my family. Thanks! Brussels are my favorite side dish! I love the sweet glaze this will take it right over the top! 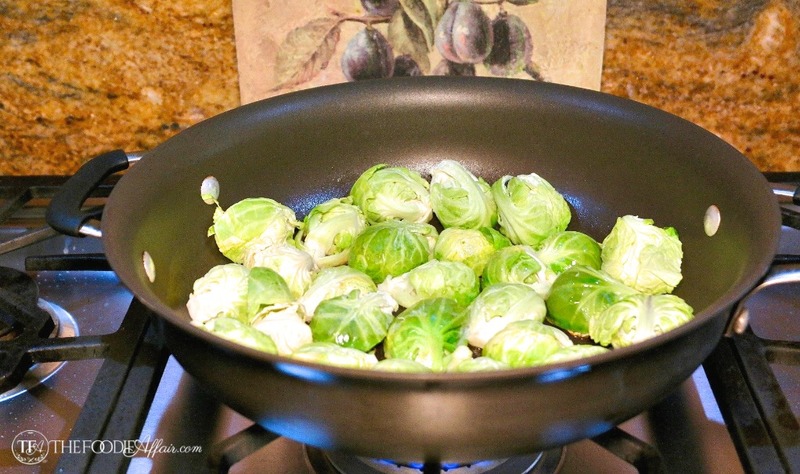 I SO agree with you about boiled brussels sprouts being a bad decision and the reason why so many people say they don’t like brussels sprouts. These sound delicious and I love how you play on their subtle sweetness with the maple glaze. I must admit Im a hater….but they are my husbands favorite veggie. He saw me reading this and asked I could make this for dinner this week…. I’m even going to give them a try because the maple sounds pretty good… — anything maple is a win in my book! This sounds like such an incredible side dish! 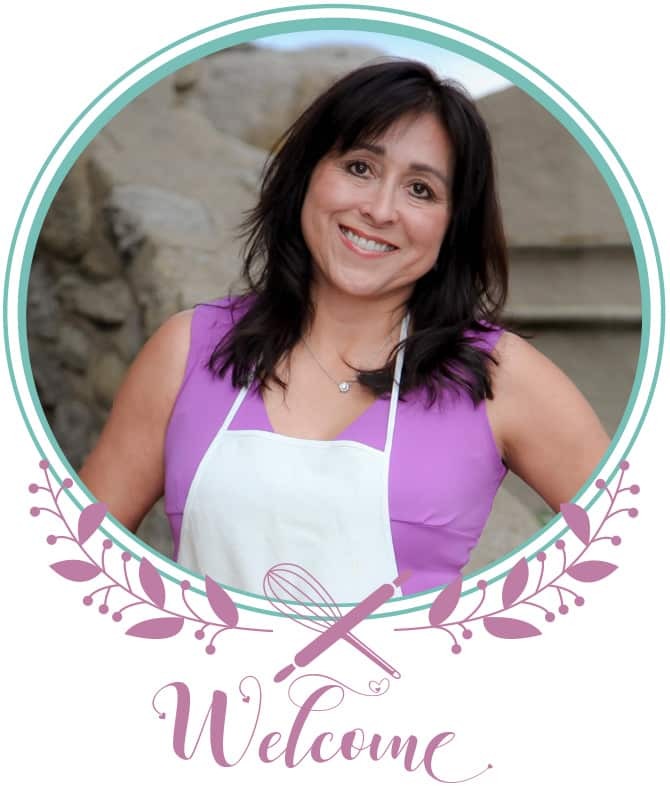 I can’t wait to make it for Thanksgiving! I love the addition of the dried cranberries! I love sprouts but this brings them to a whole other level!! My husband is one of those who didn’t like Brussels sprouts but now loves them. It is recipes like this that did the trick.